The hardest part of any project may be to get started or get done. This is especially true with your papers! Choose one of these ten tips to help you make a difference, get going and get finished. Put your perfectionism aside. Set a minimum expectation for yourself that can be accomplished by creating a project scope that allows for success. Instead of creating the “perfect” filing system, work with the big picture and use general, larger categories such as home and auto, finance, and personal. Or just have one box marked 2012. There is no one perfect way to file, so design what you need. Make the project less overwhelming by making a list of the steps and products needed. This will make the process more manageable. Start by getting the first step going and then the task falls into place. Make a list of the tasks for paper work. The list may include: pay bills, sort papers by alphabetical groups, file papers, eliminate junk for 5 minutes, or purchase extra files. Break your work into smaller steps. Use a timer and work just 15 minutes. 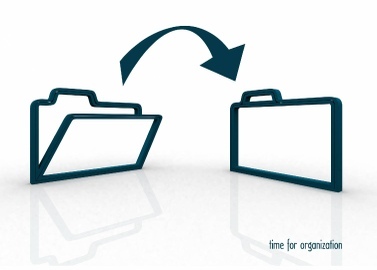 Have a quick file group set up in the desk file drawer instead of the file cabinet. For papers that arrive very frequently or that you use frequently, it is easy to just reach in. Set a deadline to start or finalize your project and write it on your calendar. As busy as we all are, there is never enough time to do all we want to do. Set a date on your calendar that is your administrative day to work on papers. Give yourself permission to take all the time you need to work on papers. With a realistic time frame, you will get more accomplished on discarding, sorting and filing. Assess your schedule and double the time you think it will take to finish. Set the mood with music. Having a soundtrack gets us moving. Choose your favorite background music, whether it is a playlist, country or classical. Making it more fun makes paperwork easier. Partner with someone who has the skills that match your skills. You pay the bills, your husband files the papers. You can delegate filing to your very organized teen too! Make it routine. Set the time aside and work regularly at your admin tasks with weekly admin time. Start with small bits of sorting and filing regularly and once the routine takes hold add on more. Start when you are high energy. Get a good night’s rest, have a small snack and work at your best time. Work at a time that works best for you, morning or evening. Re-frame the work. Get a new perspective on why and how to work with your papers. Know what papers you want to keep and why. Keep only what you need and be brutal about eliminating other papers. The best resource for this is Oprah.com ABCs of Important Papers. Paper management is much easier! What’s your first tip to try to make your paper work disappear? Filing! Everyone hates filing! However, you can make filing less painful with a few simple solutions. The easiest way to file is to have one box for a one year’s worth of paper. Have an easy to access, attractive box to drop in paper as it arrives. You can find what you need by going through the paper in chronological order. It saves time and energy to have just one box for all papers. Have big categories for your files. Remember that filing is for retrieval! Having categories that include important areas can help you file quickly. Categories include home and auto, financial, personal and work. This filing is best accomplished with hanging files. But don’t just file everything. Be sure to keep just what you will want to retrieve. Make a list of your files. Often we are not sure where a paper goes, so we don’t file it. With a list, you have choices of where to file and what the options are. File for fun! (Really!) Add music, your favorite tv show, with a friend, or with an adult beverage to add fun to your filing. Use filing products you love. I recently found the filertek dry erase hanging file tabs. Having dry erase tabs means you can add names to your files easily. Also having lots of colored hanging files or beautiful file folders makes your work lovely to look at. Companies like www.officecandy, www.seejanework.com and www.containerstore.com make fabulous products for you to love and use. I love to share my personal filing secret! I file 4 times a year and when I file I watch foodtv. What is your personal filing secret? It seems like an impossibility – going paperless! But it can be done! With the wonderful new digital technology we have, having less paper can happen. Start with an investment in technology. The Fujitsu ScanSnap ( http://scansnapcommunity.com/) or the Neat Desk (www.neat.com) are both incredible machines! Learn which will work best with your existing operating system and computer. Knowing what to keep is important, regardles of whether is in a paper or electronic form. I love to refer to Julie Morgenstern’s ABCs of Important Papers (http://www.oprah.com/home/The-ABCs-of-Important-Papers/) Remember, just because you have more opportunity to keep documents digitally does not mean you should keep everything! Be discerning about what you scan and know that to keep. Set up a retrieval system that will work for you. Keeping documents digitally means you can keep these in categories that work for you. Outline what your categories will be, create these digitally, and then you are ready to scan and move documents into your categories. Routinely scan and shred. Have a plan about your scanning. Establish a spot for papers that are to be scanned and a time to do the scanning. Having a back up in place is also mandatory. Carbonite automatically backs up your computer. 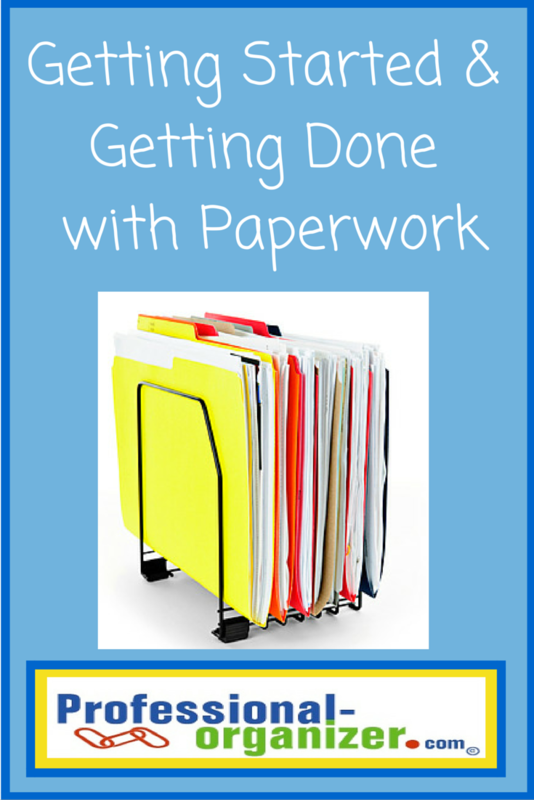 With your new paperless office, you will feel accomplished! And think about the s’mores you can make after you burn the paper! Ready to make the jump to paperless? Here are some more resources. RSVP to and bring a friend! Decorating a room or party around a theme has been popular for ages. So, it’s only natural that you’d think of choosing a theme to decorate your home during the holidays. Leslie Sarmiento will be sharing lots of exciting new ideas for making your décor the most talked about on the block. Certified Professional Organizer and Family Manager Coach, Ellen Delap will share how to prepare and plan for the holidays. If you’re easily overwhelmed by the busy holiday season, come join us to learn ways to create stress free family memories and traditions. Would love to see you there! Lots of small scraps, receipts, and business cards clutter our desks, wallets, and drawers. Creating systems and routines for these small pieces of paper can make a difference for you. 1. Receipts seem to multiply! Start by having one spot to collect all of these for one month, such as a basket, a ziploc in your purse, or a file in your command center. Decide what receipts you need for returns, taxes or major purchases and eliminate the rest. 2. Coupons can save us money, but only clip and keep coupons you will use in the next month. Keep your coupons together in your car in a small accordian file, labelled by categories you will use. Your coupons will be with you when you arrive at your destination. 3. Collect contacts like business cards and addresses in your command center. Set aside a few minutes to consolidate these into a paper address book or onto your computer in Outlook, Gmail or another electronic system. Having these electronically, you can search for what you need. Also, you can add these in categories such as home repair, plumber and the name of the service provider for easy access. 4. Drop all your paid bills into one box labelled for the current year. Having an easy to “file” method for the most frequently accumulated papers helps gets paper put away. Keeping filing especially simple makes a difference. 5. Recycle paper as soon as you pick up your mail. Before you enter your home, place a recycle bin at the door. Be brutal and drop paper in before it can accumulate. 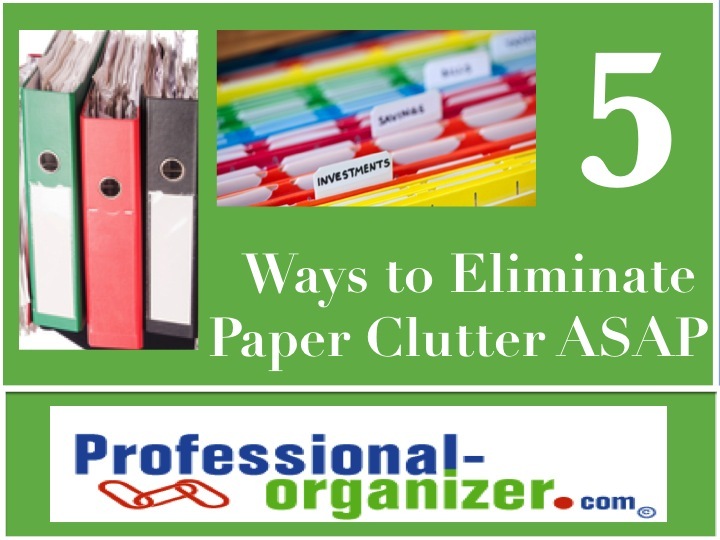 What do you do to eliminate paper clutter? Families struggle with getting homework started and completed, getting papers turned in and seeing academic success. In this workshop, Certified Professional Organizer Ellen Delap will share strategies for time management, paper work flow, and study skills. Parents and their middle and high school students are invited to attend this interactive and engaging presentation. Discuss time management strategies that lead to academic success. Parents and students will learn why and how to use time management tools like paper and electronic planners and task lists. Participants will complete a time grid to establish work, homework and other routines in their week. Identify paper management strategies that will streamline school papers for both parents and students. Parents will be introduced to the command center for papers and students will discuss various tools for paper such as homework folders, notebooks and files. 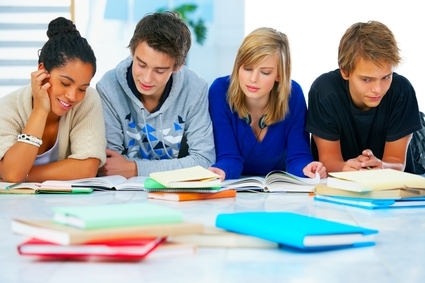 Establish study skills and study spaces that work best for their learning style. Parents and students will discuss where students study in their homes and what tools will empower their learning.